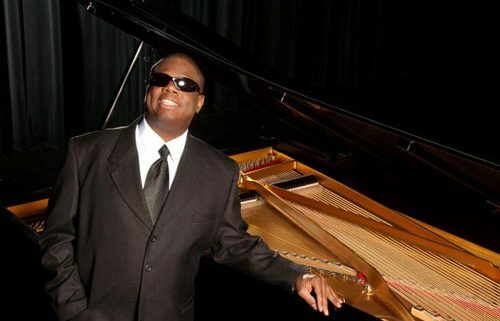 Pianist and vocalist Joe McBride takes on the role of Ray Charles in this tour de force performance. An innovator since his first recordings in the early ’90s, McBride blurs the lines between jazz, R&B, soul, and funk. His trio is joined by special guest Bob Rebholz on saxophone for a show that will pay tribute to “The Genius of Soul,” through inspiring renditions of his songbook. Doors open 30 minutes prior to performance start time. Ludwig’s Terrace in the Sonnenalp Hotel is transformed into an elegant alpine jazz club for an evening of stunning entertainment and spectacular dining. Each seating features 75-minutes of music and full dinner service with favorites from the Bully Ranch menu, a selection of fine wine, and signature cocktails. Food and drink are not included in the ticket price; seatings sold individually.